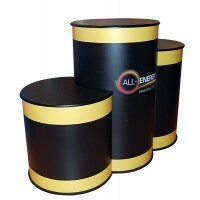 A practical and stylish way to showcase your products at exhibitions, trade shows and expos, this display plinth set is available in a range of sizes and colours to suit a variety of promotional requirements. Easily portable and with an impressive load bearing capacity, the display plinths are a versatile addition to your event furniture, providing the perfect place for samples, laptops, marketing literature or new product displays. Made from strong yet lightweight MDF and finished with a hard wearing fabric wrap, the plinths can be supplied in 4 different sizes, ranging from 400mm to 1000mm high. 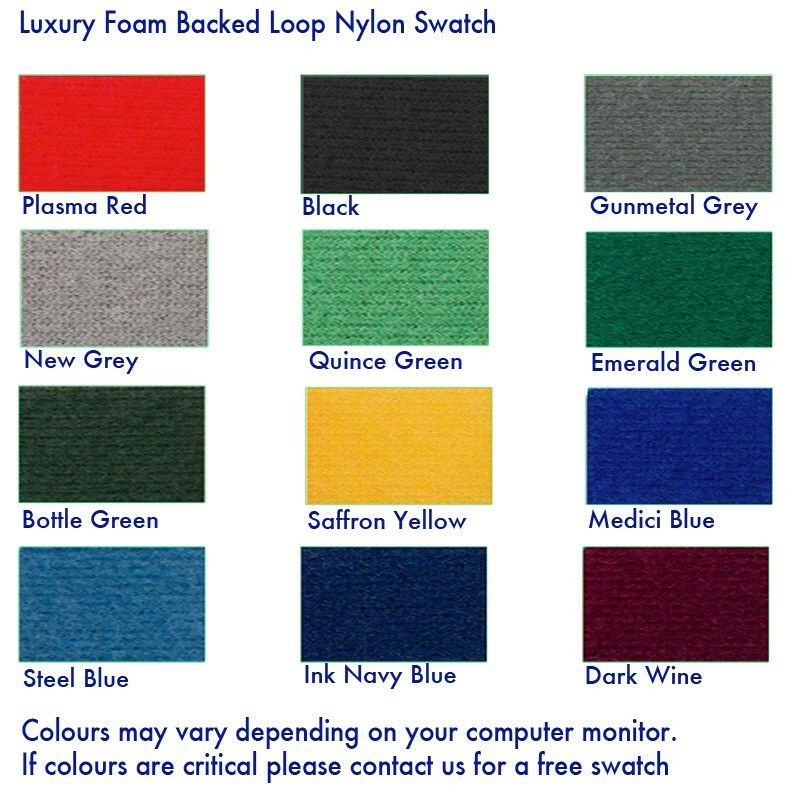 The counter top is available in 4 attractive finishes – Beech, Black, Silver and White – and the durable fabric comes in a choice of 12 vibrant colours. With so many options, choosing a design to complement your existing exhibition furniture should be a breeze. 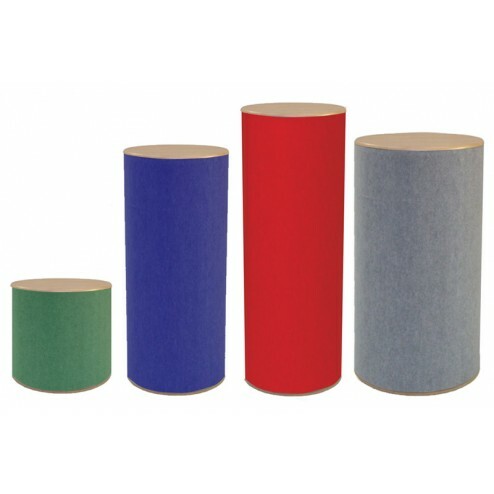 Lightweight and easily portable, the plinths are supplied flat packed, making them easy to transport between venues and store when not in use. 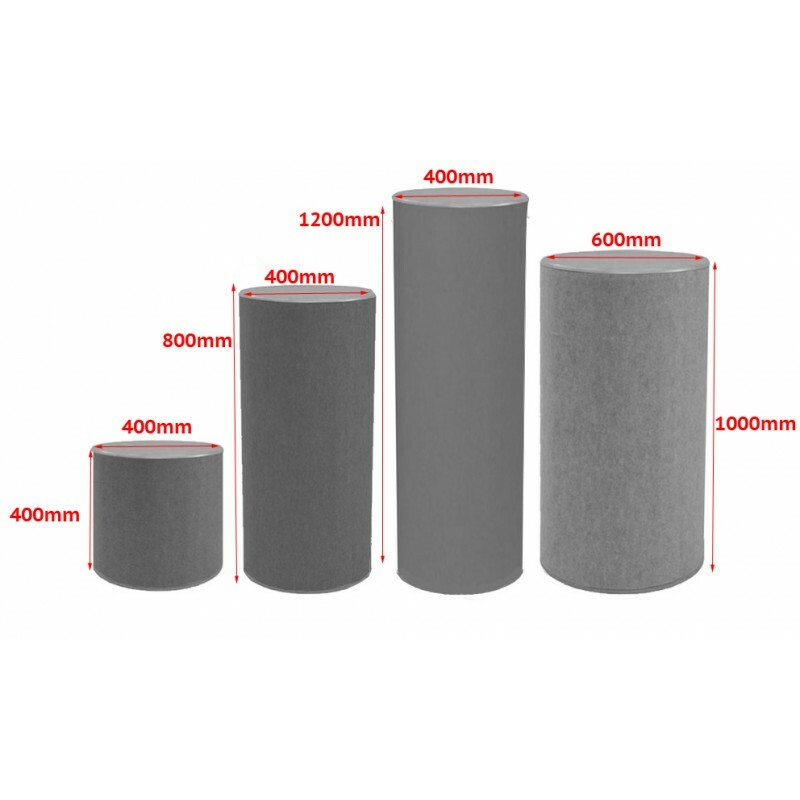 The cylindrical display podiums are quick and easy to assemble without requiring tools or expertise, and once in place they offer a strong, stable surface able to support a load of up to 75kg, making them a highly functional addition to your exhibition kit. Perfect for use individually, or grouped together as part of a larger display, the display plinths are also ideal for temporary art installations and travelling museum exhibits as well as school, college and university open day displays.